Get the most from your favourite music, TV shows and films with this flat Sony Soundbar. The HTCT290CEK offers 2.1 channel sound for clear audio, while the wireless subwoofer provides deep, booming bass. 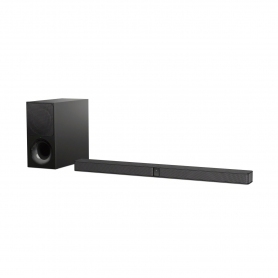 Available in a modern black finish, this slim front soundbar won’t distract you from the screen. 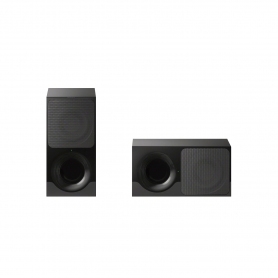 Put yourself at the heart of a movie with cinematic quality surround sound. ‘S-Force Pro’ uses two speakers to mimic a 3D sound field, with you at the centre. 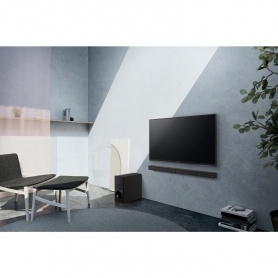 Whether you’re watching a full-blown action movie or spine-tingling horror, you’ll get a truly immersive audio experience from the Sony HTCT290CEK. With a 300 W power output, this model provides high levels of volume and clarity to bring sounds to life. 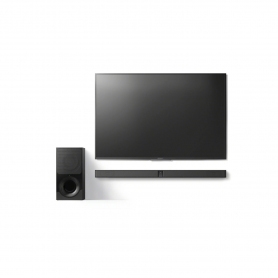 Combined with the HTCT290CEK’s support for Dolby Digital, this Sony soundbar makes movies sound the way they should. 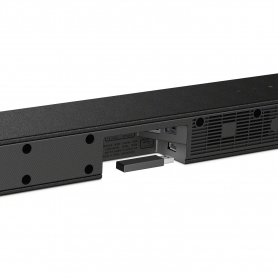 This Sony soundbar’s wired ports and Bluetooth offer all the connection options you could need. HDMI ARC – allows you to connect the soundbar to your TV with a single cable. Optical input – connects to your Blu-ray or DVD player for first-rate surround sound. USB – charge and access music from multiple devices with USB input. The HTCT290CEK’s Bluetooth connectivity means you can stream music wirelessly from a smartphone. 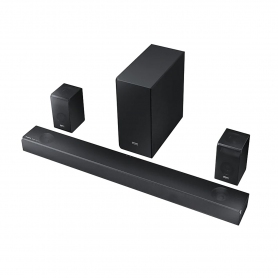 Get lost in this soundbar’s full surround sound, whether it’s for a party with friends or romantic evening for two. 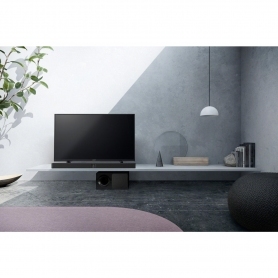 Designed to fit any living room set-up, this Sony soundbar has a slim body that won’t obstruct the screen. And, you can choose an upright or horizontal position for the wireless two-way subwoofer. Placed on its side, the subwoofer can easily fit into a TV cabinet or shelf. Make the most of your audio experiences with top-quality, immersive surround sound. 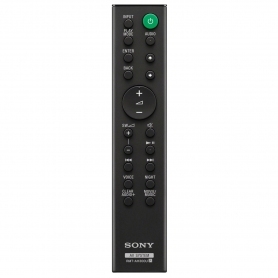 The Sony HTCT290CEK combines performance and convenience to suit any household. Order now. Tuner 300W Total Power Output : Bring every song, show and movie to life in the volume and clarity it deserves, with a 300W rated power output.